This relatively large Brandberg has 2 fairly stationary bubbles, rainbows and energy giving little cluster at the base. 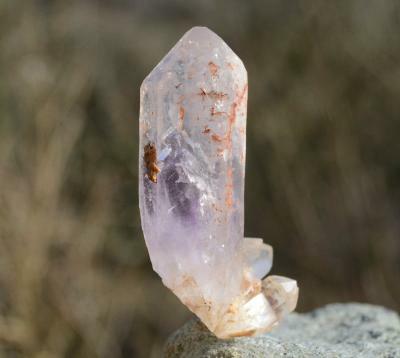 "Brandberg Amethyst is a stunning and unique variety of Quartz crystal found only in Namibia, Africa - a mystic blend of Amethyst, Clear and Smoky Quartz together in one exceedingly high-vibrational crystal. Formed where powerful Earth meridians cross, this mineral is imbued with remarkable phantoms, enhydros, and other rare formations and inclusions. It is a potent talisman of healing and perfection with the capacity to restore one back to their etheric blueprint, the energetic state that existed before the soul’s journey began, in order to realign with the Divine Source. 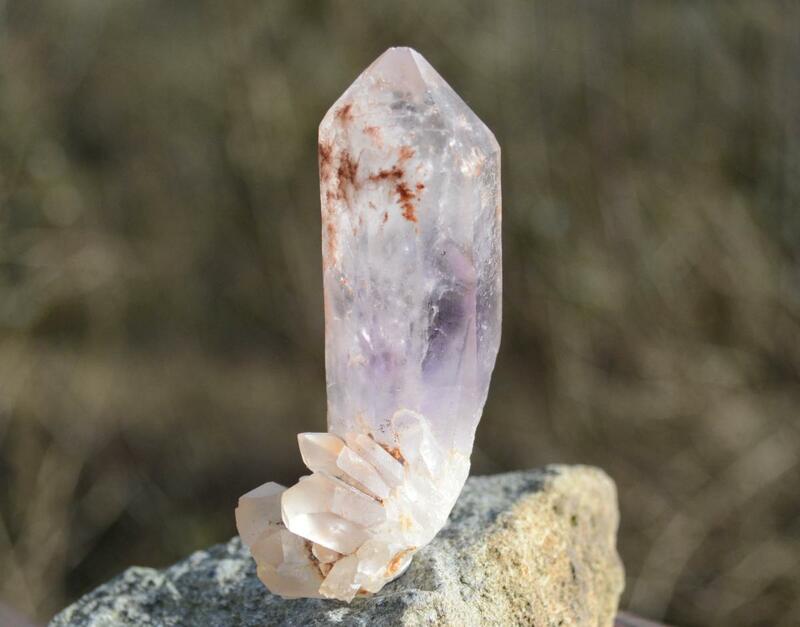 Brandberg Amethyst attunes to pure consciousness and is the most versatile and multi-dimensional healing tool on the planet, unparalleled in its beauty, energy and light.” Judy Hall"